Posted in Life's Adventures	by M.L. 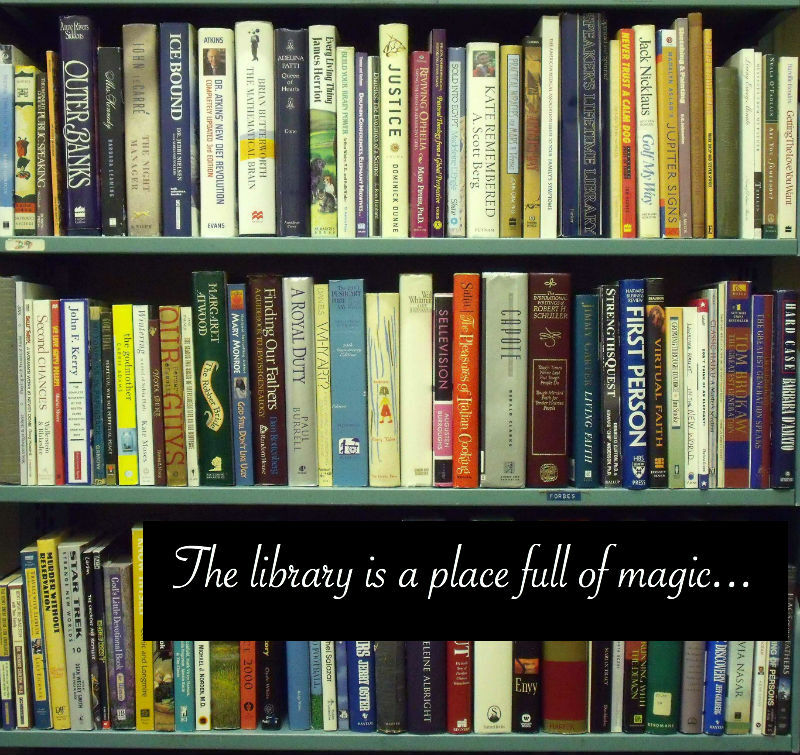 When I was younger, the library was a place full of magic. The endless rows of books held so many stories and tales and lives and characters that I couldn’t consume fast enough. The warm quiet of the building was a welcome respite from the chaos of a large family. I could wander through the stacks for hours, skimming titles and reading covers. I gathered books in my arms to check out while I perused, until I had so many that my muscles shook and books were tumbling off the pile. I would check out five or six books at a time, piling them next to my bed. When I was younger, all I needed was a book and cozy nook to curl up for hours, lost in a whole new world. I loved the smell of old library books. I loved the way the pages were a little yellow and the plastic cover crinkled when you opened it up. I loved the books with water-warped pages because I could imagine the reader sitting on the beach, not realizing how close the waves had crept up until they were upon her. I especially loved the books with a comment card paper-clipped to the back cover, where previous readers wrote their thoughts and noted their surprise or sadness or anguish over characters. I would sometimes choose a book based on these comments alone. I felt like I had a connection with the other anonymous readers – like we were, in some small way, the same, because we had both shared this book’s great adventure. Then technology came and changed it all. 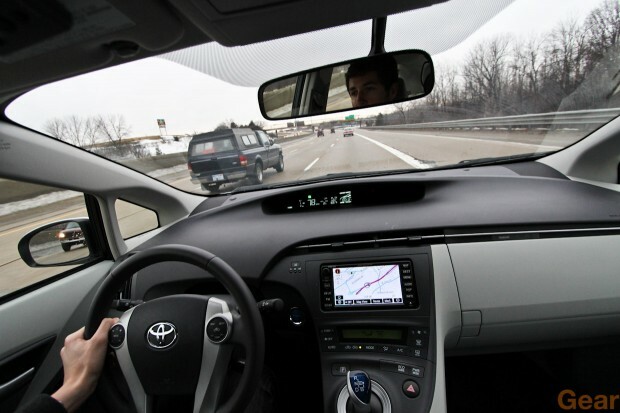 I wish I had a hidden video camera filming me while I drive my car because the utter confusion and exasperation I feel when I’m driving around the streets of Pittsburgh would make a really funny YouTube video. I’m a pretty good driver who has a terrible sense of direction in new places. Not exactly an ideal combination. And unfortunately I haven’t had the opportunity to drive around the city of Pittsburgh very often throughout my life. Everything I needed was already within the two-mile radius of my house in the suburbs. So imagine my anxiety when every other week or so I have the fabulous opportunity to drive someplace that I’ve never been. I think that some cosmic force has decided that I really must get lost every time I go someplace new. No matter how many directions I print out or how well I’ve memorized Mapquest or how accurate my GPS is. I have never gotten somewhere without driving the wrong way or completely missing it first. Driving in Pittsburgh is terrifying for someone who doesn’t do it often. There are one-way streets and ramps and exits everywhere. A ramp that looks like it will take you where you want to go actually veers off and goes over and under and around and pretty soon you’re not even in the city anymore. If you go across a river, it takes awhile to find a way back across. If you go through a tunnel, forget it. I might sound like I’ve never driven anywhere in my life, but as I have found out, all of this preparation is apparently necessary. Because as soon as I start driving, nothing goes according to plan. The MapQuest directions look easy, the total time it should take isn’t long, I know the general direction–I think. And then come the winding ramps and streets of Pittsburgh. How are 376, 279 and 576 all the same road? And why did MapQuest tell me 376 but the GPS voice (whom I’ve named Ginny, trying to build a relationship with a piece of technology so she doesn’t take her wrath out on me) tells me its 576? When I’m completely positive that my car is positioned under the correct sign for the correct exit, then suddenly Ginny calls out–“Recalculating.” How?! You know that extra gravelly space to the side of the exit that was made for people who decide to turn at the last possible second? Yes, I use that. Suddenly realizing I should be turning, or taking that exit, not the next one, I wrench the wheel across that extra space. Watch out for people like me. As soon as I relax because I made that exit, Ginny lets me know that the next exit is on the left and I have approximately two seconds to cross over three lanes of traffic before the ramp takes me across a river where I do not want to go. I merge into traffic, make the next exit and again relax a little. I have two minutes until I reach my destination. Driving along, driving along. “Your destination is on the right.” Emphasis on the words “on” and “right.” (I wonder what nationality Ginny is…) And I drive along, cursing, talking aloud, like what? where? I don’t see it! And I quickly drive right by, saying “oh there it went.” Then I have to find a place to turn around, make a U-turn, do whatever I have to do to go back, and find some place to park. Parking is not fun either. A car is a very big thing to find a spot for and if there is nowhere to put it, what do you do? That’s just half my battle. I haven’t even started home yet. Getting home is even better because as meticulous as I was making sure I had directions to get to my destination, I didn’t print out any to get home. So I must rely on Ginny, who firmly decides not to have a signal. So I drive, make a turn, this road looks familiar. Oh wait, this ramp is actually taking me the wrong way. And suddenly I’m going across a bridge, towards a tunnel that is definitely in the wrong direction. By the time Ginny finds out where she is in the world, I have driven around and through the whole city of Pittsburgh and must now untangle myself from the one-way streets. Ginny always gets me home though. And every time I go to the same place, it gets a little easier. Maybe someday I’ll be able to navigate the Burgh but right now I’m struggling. And if I had a video camera in the car with me, it would be hilarious. After I get where I’m going. This is dedicated to all of the die-hard Mac-lovers out there. You have converted me. I just got my Macbook Pro this past weekend, after contemplating buying one literally all summer. I had surfed the Apple website and compared all the versions of MacBooks. I “built” my own and added little extra’s to see how many thousands of dollars this piece of technology would set me back. I made a trip to the Apple store in the mall and spoke with one of the hundreds of “blue-shirt guys”. Of course it was the first day that the new 15-inch Macbook with retina display came out and he had me hooked. After I saw that stunning screen and he opened hundreds of applications on the computer all at the same time in a matter of seconds, I couldn’t possibly consider something else–at least not that day. So I went home empty handed and kept comparing. I asked friends what they recommended and I even chatted online with an Apple rep. I wanted a new computer, but my old one was technically still working. Technically, I didn’t need one. But then I got my internship and they told me to bring a laptop. And I realized I would be lugging a 20-pound piece of ancient history that took half a lifetime to boot up and the other half to shut down. This artifact couldn’t hold a charge long enough to turn on and had to be plugged into an outlet 100% of the time. When it was finally on, you might start looking around the room or out the window, looking for the helicopter that was landing–that’s how loud the fan was trying to cool it down. I was afraid to turn the computer off though, or even close the screen because sometimes it wouldn’t shut down properly, or restart properly. I was walking on eggshells with this PC but I wanted to make it last as long as possible. And now, its time had run out. The coolest thing about buying a new computer and switching from a PC to a Mac was how easy it all was. I decided on a simple, 13-inch MacBook Pro with more memory and a better processor. The blue-shirt guys were very helpful and made me feel confident about my decision, which was especially reassuring since this is one of the biggest purchases I’ve made in my life thus far. And they took it from there. With the One-to-One membership, they took my old computer and transferred all my documents, pictures and files to the new one. They walked me through the steps of setting up accounts and explained how I now can sign up for any one-on-one classes where they’ll teach me anything I need to know. Not that I’m a complete idiot when it comes to computers. Macs are pretty simple. When the blue-shirt guy was getting ready to take my PC for the transfer, he asked whether it had Windows Vista or Windows 7. I didn’t know. He asked what the password was to get on the computer, I didn’t even know that because I always used the finger-swipe feature. I’d had this computer for over four years and I couldn’t remember how it had been set up for me. I just wanted to keep my files and start fresh. I was tired of having someone to clean up the 76 viruses found on the computer, and the random toolbars that pop up from downloading certain software. I wanted a Mac. And now I have this beautiful, pretty little computer that’s light and small and silent. It’s sleek and functional. It doesn’t have extra crap on it that I don’t use and I know the password to log onto it. It has a 7-hour battery life, if I’m not watching videos at the highest screen brightness. And it’s super fast. When I was sitting in the Apple store waiting to transfer the files, I was eavesdropping a little bit on people’s conversations about the problems they were having. I wanted to know what I was getting into. One girl said something about her Facebook and Twitter accounts not working on her iPhone. The Apple genius did something really simple to it and restarted the phone and voila, it worked. Another older woman was telling an Apple genius that her Macbook had a very short battery life. He calmly pointed out that she was using her Mac with the screen brightness set permanently at its highest. He told her to turn the brightness down and she’d add a few hours of battery life. Another woman said her iPhone battery was also very short and the genius said that it was because the battery had suffered damage when she dropped it without a case. So lessons learned–don’t keep the screen at full brightness, don’t drop my Mac (duh), and don’t be an idiot. This is not to say that there are never ever any problems with Macs, because I’m sure someone will argue that they actually were in the 1% who had a legitimate problem, but for the most part, it seemed that Mac problems were easy to fix, or not really problems at all, as long as you’re careful with expensive technology. So far, I’ve been having fun playing with the multi-finger swipe trackpad and updating the calendar app, and using FaceTime and iPhoto and Stickies. I forgot how much fun it is figuring out new technology. I might take advantage of a few one-to-one sessions just to make my life easier and make use of all the apps. People are so polar about computers. They either love or hate Macs. There’s always a Mac vs. PC discussion. I never got it. I had a PC and I’d always had a PC. I knew I didn’t love it, but I didn’t know any different. But as I got to use Macs more for school and with my friends, I realized these Mac people might have a point. And so I finally gave up the old clunker. I’m a convert, and I love my Mac. Posted in News & Events	by M.L. Of all the inspirational stories that emerge from the coverage of the Olympics, the one that caught my eye a few days ago was that of Oscar Pistorius, of South Africa. He is called the Blade Runner, using prosthetics in place of both of his lower legs and feet. Oscar is quite literally a runner without legs. If that doesn’t inspire someone, what will? He was born without fibulas and was not even a year old when his legs were amputated. Think about the kind of life he probably had, growing up. It’s hard enough to live in the hard world with all your limbs. And still he had Olympic dreams. He still knew that he could do more, even without his legs. And luckily, we do live in this hard world, because it enabled him to find a way around his “handicap.” Building him some prosthetic legs put him on the path to greatness. If only it could work like that for everyone with the Olympics in their sights. Pistorius worked hard and has to have tons of natural talent in order to get where he is today. But he also has to be incredibly lucky. Not every double-amputee with or without prosthetic limbs ends up in the Olympics. He is lucky that he has the money to afford his state-of-the-art legs, and to replace them when necessary. He’s lucky that his case was reviewed and ruled in his favor to allow him to compete in this year’s Olympics. It can’t be easy for him. Why don’t you try running with no legs? Yet there are still bitter critics saying that his artificial legs give him an unfair advantage; they give him spring in his step that other runners don’t have; they reduce his fatigue because there are no muscles there to use up oxygen and make him tired. But if he had such an advantage, wouldn’t there be more amputees running as fast as he is? It might be easier for people to yell “unfair!” than to admit that their guy will get beat by a runner with no legs. We want everything to be equal and fair, but that’s not how the world is. It’s not even fair for the people who do have their legs. Some of those runners have had better coaching, or are in a geographically more agreeable country or city. Some athletes are better off financially and can concentrate on just running, while others are trying to hold a job and provide for a family. People aren’t going to come from the exact same circumstances, so can’t we call it unfair for everyone? Can we kick everyone out who we think is too old or too young, not allow someone to compete because they had more time to practice than we did? His artificial blades were proven to not give him any extra spring. They are shock absorbing, like many running shoes claim to be, but they do not add extra power. I’m sure with today’s technology rapidly advancing, that power boost may not be far behind. But of course, the Olympic committee would shoot down a competitor with a power boost in their feet, just as they would someone who takes performance enhancing drugs. There is obviously a line between artificial feet and rockets for legs. It would not be easy to learn to walk on blades and certainly not easy to run fast enough to qualify in the Olympics. Whatever “advantages” this guy has, it is not his feet. I salute him. I hope he runs the best he can and keeps up with the best of them. I hope he wins medals and proves to everyone that you can achieve dreams even with disadvantages like the loss of your legs. I hope he becomes an inspiration to other amputees in the world, and those who are trying to overcome major challenges in their lives. I do not, however, think that he should be able to compete in the Paralympics after the London Olympics. If he has the chance to prove how great he is now, he shouldn’t need to prove himself again, or against other amputees. He earned the right to compete in the Olympics and he deserves that. But no one else gets two tries. Now that is what is unfair. As technology continues to improve and we become better able to make limbs for amputees, and give people the chances that they wouldn’t have otherwise had, we’re going to have to keep re-evaluating what is “fair” and who has the “advantage.” It is a continuous process, just as everything else dealing with rising technology is an ongoing process. With everything in a state of constant change, nothing is going to be cut and dry forever. 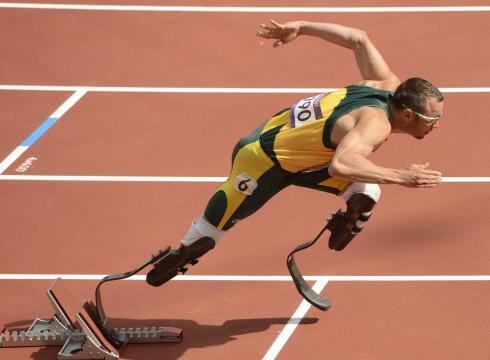 Oscar Pistorius proves that someone without legs can run in the Olympics. Hopefully this will open doors for others like him and we can continue to be supportive of all athletes who work hard and persevere through all the obstacles they are given. I read an opinion column today in the Pittsburgh Post Gazette about the state of the world discussed at Rio+20, in terms of carbon emissions, climate change, and sustainable development. The author, Jeffrey D. Sachs, and those at the United Nations Conference, call for an end to extreme poverty, less carbon emission from the energy system, slower population growth, sustainable food supplies, and protection of the environment. But those of you reading this, who probably have at least six other tabs open on your screen, switching from Facebook to Pinterest, updating Twitter on your phone, while texting your friend, are probably nodding your head in agreement, thinking yes, it’s probably a good idea to save the world, yet how many of you got up to turn a light off? How many of you have the TV on while you’re on your laptop, reading blogs and updating social media, obviously not even watching the TV? I admit, I have the TV on. I like having the Today Show on in the background of my morning and if something interesting stands out, I turn my attention to the television. This is the reality of the world today. People are perpetually connected and plugged in and so immersed in their personal lives and the virtual lives of their friends. People would rather “pin” a link to their dream wedding dress and tell hundreds of Twitter users that the line in Starbucks today is incredibly long than shut off their technology and plant trees. I’m not saying that all people are like this, but this is our reality. On the other hand, our reality is also high carbon emissions and global warming that eventually will destroy the planet. This is what scientists tell us, but so many people don’t believe it or don’t want to believe it. These claims seem extreme. People just aren’t motivated to look outside their own neighborhoods. We say we want what’s best for our children and no one can deny that. But our ability to look far ahead, hundreds or thousands of years is limited. We see the reality that is right now and right now the sun is shining, the grass is growing, the birds flit around the backyard. Right now the kids have enough to eat and go to great public schools. Right now, I can’t afford a new energy-efficient vehicle, but that’s okay because there’s enough gas in my car, and GetGo and Giant Eagle are helping me save a few cents at the pump. The concern about overpopulation, famine and disease in third world countries doesn’t hit home because, well, we can’t see them. All we see are the sad, slow-mo advertisements on TV telling us to donate just 25 cents a day, but everyone thinks those are over-exaggerated to draw a few more quarters from the crowd. If we can’t get everyone to agree on the current state, how can we possibly expect people to agree on the measures that must be taken? So when you think about how to reach the audience, the young internet generation, a YouTube video might work. Or a Facebook page, or a Twitter account, or a blog post. A story on the 6 o’clock news might work, or the endorsement of pro athletes and celebrities. But really, it’s going to be all of that and more. The world won’t change just because someone writes a blog post, or a newspaper column. It won’t change if someone makes the most creative 30-minute YouTube video of the year. It won’t change if politicians put it to a vote. In Sachs’ article he writes, “Since politicians follow public opinion rather than lead it, it must be the public itself that demands its own survival, not elected officials who are somehow supposed to save us despite ourselves.” The public will only demand change if we all agree. The whole world needs to agree. We will only all agree if we are inundated with the information, if we are convinced through all outlets that this is the change we need to see. We see evidence every day of technology becoming better and people wanting to use it. Take Apple. They could come out with a new, faster, better product every month (oh wait, they do…) and people buy it and use it and promote it. People want better things, they want to be on the edge of innovation. We wouldn’t have students majoring in engineering and science if this wasn’t true. We just need the motivation to convince the world that sustainability is what’s better. That energy-efficiency is what’s better. That everyone’s lives will be better if we all adopt this world-saving technology and practices. I hope that this blog post will add to the global conversation. Hopefully others will continue to flood all media with the facts and someday soon, maybe we’ll all agree.